Today, we’re introducing a new setting in the “Map Style” Panel of Google Earth to make it easier for you to access the freshest satellite pixels. 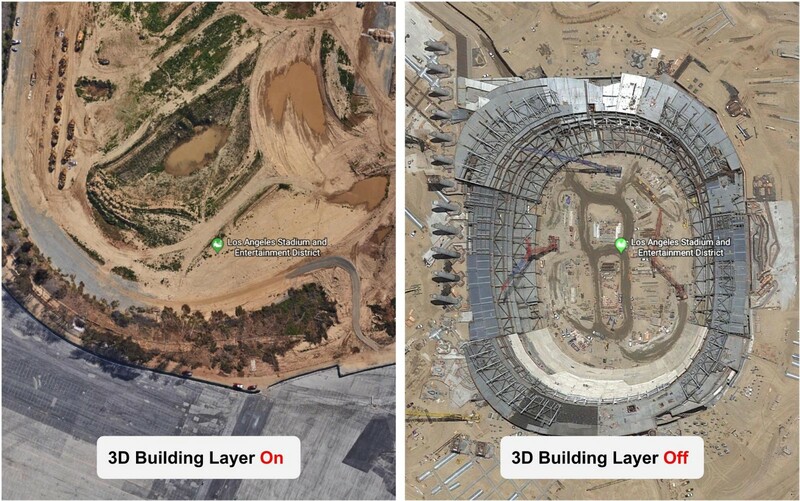 Fresh satellite imagery is at the top of many Google Earth users’ wishlist. While we strive to present the most accurate representation of the planet, there is a trade-off between improving the data quality spatially (resolution) and temporally (frequency). For example, 3D buildings offer a more realistic representation of cities at high resolution, but they take longer to generate which affects the update frequency for the 3D layer. However, if you’re looking for the very freshest pixels, a good place to start is the 2D satellite layer. The Los Angeles Stadium at Hollywood Park under construction. The new 3D Buildings toggle in the “Map Style” panel allows you to switch 3D buildings and trees on or off depending on your preference (3D terrain is still on in both cases). When it is turned on, you’ll see the most realistic representation of the world in 3D. When the toggle is turned off, it may expose newer 2D imagery. For example, with 3D Buildings turned off, you can check the construction of National Stadium for 2020 Olympics in Tokyo, or discover the newly constructed Legoland from a parking lot in Nagoya. Scouting along the Victoria Bay in Hong Kong, lots of new roads and buildings can be spotted. 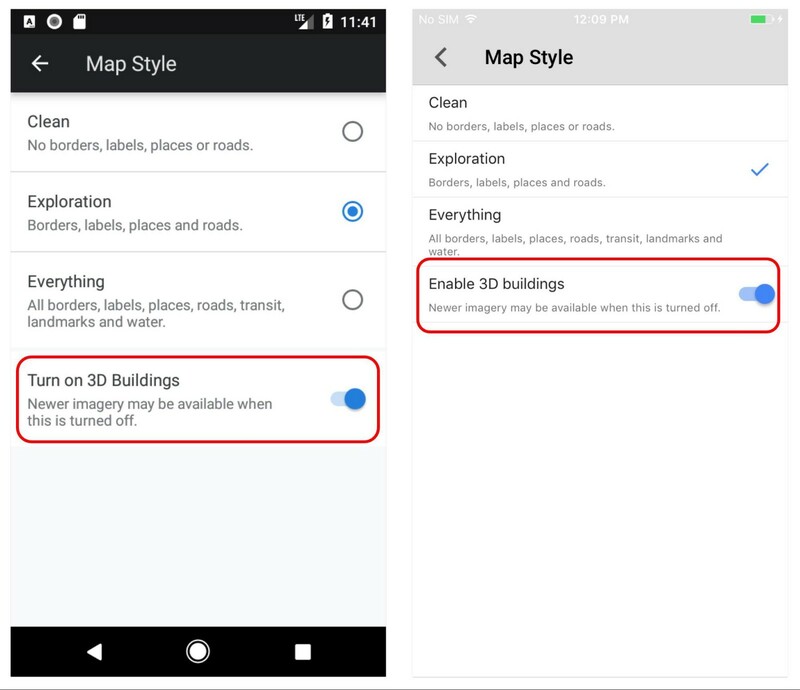 As an added bonus, if you’re working in a bandwidth-constrained environment, you may also find browsing in Earth gets smoother with 3D buildings turned off because the app requires less data. This feature is available on all platforms today. The “Map Style” panel can be accessed from the app’s main menu. We hope this toggle will optimize your experience using Google Earth.